Joining of timber structures, for example, frameworks. Fastening of tongue and groove, battens, façade cladding and nailing of linings and panels. 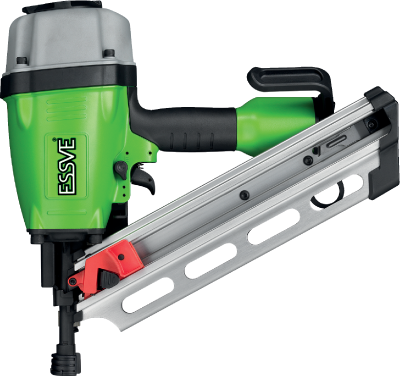 Powerful professional nail gun for nails up to 90 mm. Equipped with a number of smart features, e.g. adjustable exhaust, swivel coupling and easy adjustment for bump nailing.